Putting USBc in iOS devices. Someone made a good point on Reddit when I mentioned the female port of USBc is almost twice as tall as the female Lightning port—Lightning has and needs that ring around the port so it must be counted for a port height argument. I'm paraphrasing to make the point clearer, but it's a compelling point. If you include the entire height of the Lightning port it takes up a much more height than I originally thought. It looks awfully similar in height to USBc. Perhaps the Lightning ring could be thinner to shrink the port, but I'm thinking probably not by a lot. Since the connectors are on the inside of the USBc male connector, and the outside of the Lightning male connector it stands to reason that the circuitry of the female port will take up more space in the vertical that the port suggests on the Lightning female side, with the same not necessarily being true for USBc. Is the Lightning ring the height of the internal circuitry too? I've always thought this was a bit of a blind spot for those arguing that Lightning is smaller than USBc. "To create a notebook as thin and light as the new MacBook, we had to strive for efficiency in every detail, right down to how it connects to peripherals and power. So we contributed to a new universal connectivity standard that combines the essential functions you need every day in one dynamic port. 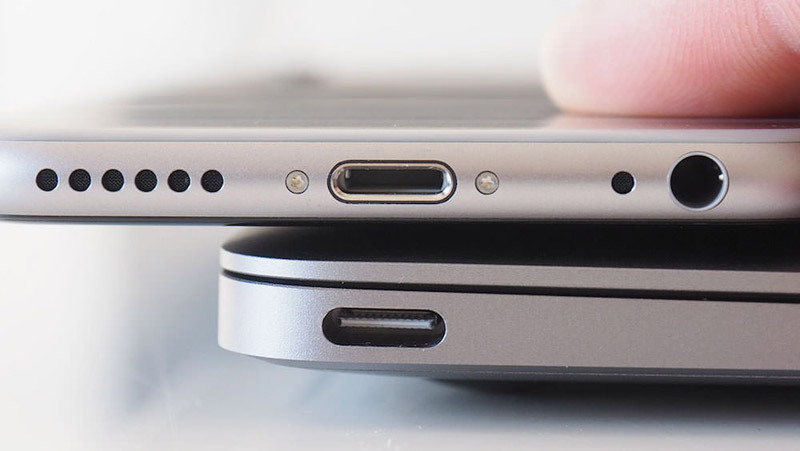 The amazing USB-C port offers..."
The reason they announced Lightning in 2012 is that standards take much longer to come to market. 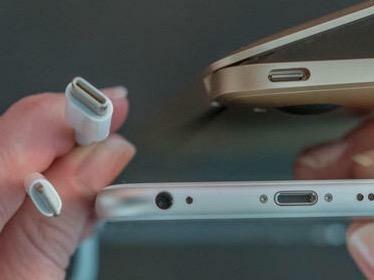 USB C was only ratified late 2014 by which time Apple was on their 3rd phone model using Lightning (iPhone 6). It makes sense that given they had such a major part in designing it that they'd have the foresight to design it in a way that would work with their future products. 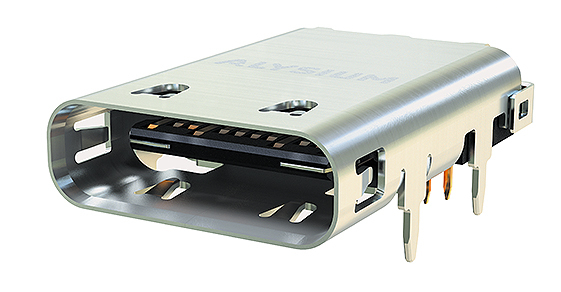 However, they don't have to use the port itself to be compatible with USB C products. Apple has complete control over Lightning and they can make it as compatible with USB C products as they want so you'd just need a Lightning to USB C cable. There's some benefit to using USB C instead of Lightning if audio manufacturers start switching headphones to USB C but as I say, they can have a cable that connects to those. If they do decide to switch, I'd expect it with the iPhone 8 in 2018. If they do decide to switch, I'd expect it with the iPhone 8 in 2018. The expectation is iPhone 8 in 2017. There's ways to add it to the phone without the ring I'd bet—adjust the curve and/or unibody etc. There's more benefit than just headphones. It would mean all ports going forward are the same. And you could charge a MacBook or an iPhone or iPad with the same charger since USBc pulls only the power it needs and the ports would be the same. You mean like on the "Magic" peripherals, and Apple TV Remote? I see your point here, but I can see the port pins inside—they create a taller vertical height than is apparent. It's still a physical height, desguised or not. And lol, actually, Magic Keyboard is "magic" because it has a battery. Should be nemed Apple Keyboard. I'm not sure I see your point. The USB-C housing merely doesn't extend to the exterior edge of the MBP housing, just as Lightning does not on the TV Remote and Magic peripherals. But there's still a housing there, likely around the same thickness on either port. Thus the USB-C port is even thicker than than it would appear just from the opening. You can see the same effect on the iPad 3.5mm jack, which has no ring around it on the edge as it does on the iPhone -- nevertheless it is there adding to thickness of the port and the internal space it needs on the edge to accommodate it. Lightning is still going to be thinner and narrower regardless.